DIY Deodorant Recipes to Fight Odor Naturally! Have you been looking for a homemade deodorant that actually works? These DIY deodorant recipes can help! Some homemade deodorant recipes are really easy, and most are customizable to your scent preferences and body chemistry. Deodorant is one of the more difficult shifts people have when they go “natural” in their personal care products. Many of us have found the non-chemical products on the market pretty ineffective and have scouted out DIY deodorant alternatives on the internet. The ingredients (such as parabens, aluminum, and triclosan) in conventional deodorant have been linked to a range of health effects, from endocrine disruption to Alzheimers. Read this article for an overview of why our broken chemical control system allows chemicals into our personal care products without being tested for safety. DIY deodorant can be tailored to your body chemistry and scent preferences. DIY deodorant can help you waste less — typical deodorant containers take quite a lot of plastic to make. DIY deodorant costs WAY less than a comparable store-bought natural deodorant, one of the many ways going green saves you money. Many years ago I offered some of the students in an eco-focused writing class I was teaching extra credit for trying Colin Beavan’s first “No Impact Experiment” with me for one week, and of course, writing about it. Pretty much every student took me up on the challenge. We all took a good look at our daily habits and tried to find ways to cut our energy and water use, waste less and shrink our ecological footprint overall. One of the many things we learned from No Impact Man’s amazing blog was that you could use baking soda as a DIY deodorant (and even wash your hair with it!). I took my students on a field trip to our town’s co-op and gave them a tour of the bulk bin aisle, where some of us bought baking soda to try to clean up our morning routines. Baking soda actually works quite well as a DIY deodorant, and I used it for many years, after giving up on some of the natural “deodorant stone” products, which besides being pretty useless against B.O., apparently contain a form of aluminum, one of the ingredients we’re trying to avoid in conventional deodorant! I started adding a little tea tree oil, bergamot, and clary sage to my baking soda when I learned about their odor-fighting abilities and other super powers. Plus they smell great! The big downside of baking soda deodorant? Super messy! You dip a washcloth in it, and a thin residue winds up all over the sink. Now, I suppose if you had a white sink, there’d be no problem, but I don’t. Many people report sensitivity to baking soda as well, and you absolutely can’t apply this stuff right after you shave. Burns something awful! But if you don’t mind a little white residue and can tolerate it on your skin, baking soda is a really simple, cheap, and effective homemade deodorant option. Sick of the mess on the sink, I tried using milk of magnesia, after reading a post on using milk of magnesia as a deodorant at Whole Natural Life. It works well and is less messy, but the kind I was able to get in local stores contained ingredients like mineral oil (a petroleum product) and sweeteners. They all come in plastic bottles, though, so not great for the zero-waste bathroom though perhaps better than a deodorant stick. You’ll see in the reviews a bunch of other people who’ve found it useful as a DIY deodorant. You may also give yourself a beneficial dose of magnesium, which is great for promoting sleep, support your immune system and more! One natural products company is actually putting milk of magnesia in roll-on containers and selling it for lots more money than if you just buy a bottle of milk of magnesia yourself. You can purchase empty roll-on bottles if you’d rather not apply with your fingers. I add a few drops of clary sage and bergamot to mine for additional benefits and scent, but there are plenty of odor-fighting options to choose from, including lavender, peppermint, and patchouli. Milk of magnesia may not work against more pronounced odor, so I’m planning to try this delightfully simple recipe involving nothing more than witch hazel and essential oils. Amy of the Good Life with Amy French says it’s pretty effective. Check out her recipe for homemade deodorant you can make at home that really works! If you’re up for a little experimenting in the kitchen, here’s a great collection of DIY deodorant recipes developed by savvy green bloggers! If you’ve also ditched conventional deodorant and are less than thrilled with the natural replacements you’ve found on store shelves, it might be time to give one of these recipes a whirl. So grab some of the least packaged supplies in the least plastic containers you can find. Here’s a selection of recipes for DIY deodorant that the authors say really work for them. Pick the one that appeals to you, and please let me know what you think! The Soft Landing has a homemade deodorant recipe with patchouli, peppermint, and cedarwood to fight odor-causing bacteria naturally. Purposefully Simple developed a recipe for a homemade natural deodorant stick that won’t melt. The Pistachio Project has a homemade deodorant recipe with only 3 simple ingredients. The Nerdy Farm Wife has a recipe for aDIY deodorant infused with herbs that support women’s health. It Takes Time has a DIY deodorant powder recipe. 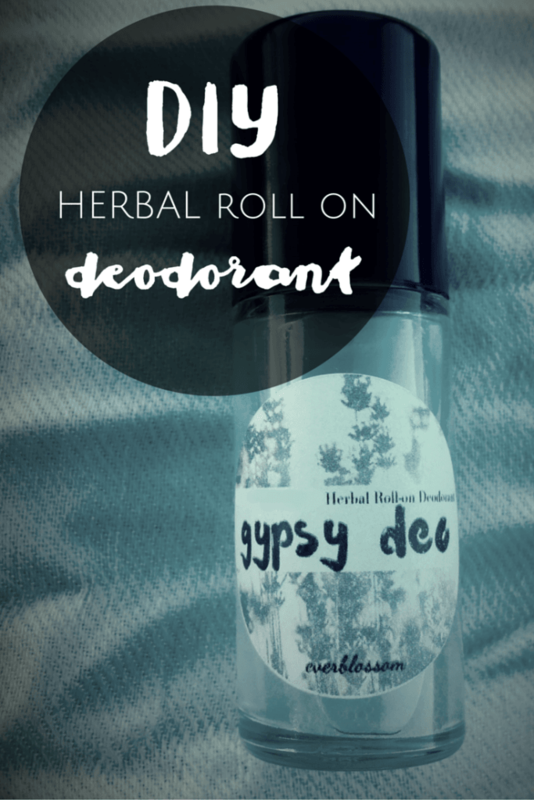 Everblossom created an herbal roll-on deodorant recipe — bonus that you can use a glass roll-on jar and avoid plastic. The Things We’ll Make has a recipe for homemade deodorant for sensitive skin that uses zinc. Common Sense Homesteading has a simple DIY deodorant recipe and an interesting discussion of her experience with natural deodorants. 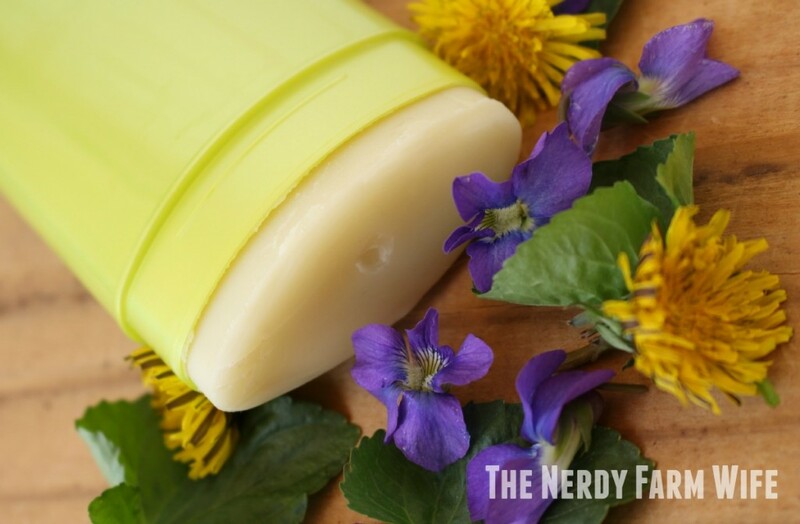 Scratch Mommy‘s recipe for homemade deodorant features diatomaceous earth and vitamin E.
The Hippy Homemaker whips her homemade deodorant and says it makes a huge difference in ease of application and how well it’s absorbed. The Crunchy Chronicles has a deodorant recipe featuring bentonite clay made into these beautiful deodorant bars. If you’d rather buy than DIY it, here are some natural deodorants with favorable reviews you can buy already made. I’ve tried a few for travel, and found Schmidt’s the most effective. You’ll see if you read the reviews that not everyone has the same experience using these deodorants, since our body chemistry is so different. Positive Health Wellness also has a helpful article on what you can realistically expect from natural deodorants. What’s your favorite natural or DIY deodorant? Share your ideas in the comments! Conventional deodorant is just one way we can unwittingly expose ourselves to toxic chemicals. To find out 9 ways you might be bringing unwanted chemicals into your home, get my FREE checklist, 9 Steps to a Less Toxic Home when you sign up for biweekly updates from HealthyGreenSavvy. Fill in the form below to get it. Pin to save these DIY deodorant recipes for later! Even with a white sink (but not a white cabinet underneath), I also got sick of the mess of using baking soda with water, despite it working well. It also started to irritate my skin after months of using it without issues. I’m glad I was finally able to find something that worked for me and my sensitive skin, but it took years of experimentation. This is a great post! I love to see all of the options because we are all different and what works for somebody may not work for everybody else. Hopefully everybody should be able to find something that works well for them here with the variety you’ve given us.